Students - It's a free verse day, just like all multiples of five of this month. "Clocks" on Day #5 was the first free verse poem of the month, and the next one will be on April 15. I find that setting such challenges for myself helps me to stretch and push myself to try things that I might normally not try. You will notice, though, that there are still a couple of rhymes hiding in here. Can you find them? I was not trying to rhyme this time, but sometimes...when you do something regularly...it just sneaks in on its own. I plan to read some more free verse poems this week, to get the sound and feeling of fine free verse inside of my heart and writing head. By the way, it looks like I just wrote this super fast. And I did write the draft quickly. But I went back to the typed version so many times. And I recorded over and over again, making changes up until 2:00am! It is an honor today to welcome Vida Zuljevic, a teacher from the former Yugoslavia who learned English after coming to the USA as a refugee with her family in 1996. Vida earned her BA, MA, and Ed.D. in Education at Washington State University and has worked as a Library Media Specialist for thirteen years. In her home country, Vida is a published writer of articles in professional education journals as well as the book, CUDESNI SAN (MIRACULOUS DREAM), a collection of short stories for children. Her self-published, first book in English, WHEN I WAS ALMOST FIVE, tells, in free verse, the story of the beginning of war in the former Yugoslavia seen through the eyes of her then-five-year-old daughter. A poetry lover from very young age, poetry was a crucial part of Vida's education in former Yugoslavia so it became a part of her being. Read on to learn some beautiful ways to explore poetry with joy and zest. Being a poetry lover ever since I was an elementary school student in my native country, former Yugoslavia, continuing to be one ever since I started teaching about 40 years ago and again after coming to the U.S. and starting to teach here and exploring American children’s poetry more in-depth, I find it an inseparable part of my everyday life (personal and professional), and I think that the benefits for students of using poetry in the classroom, no matter the level, are multifold. 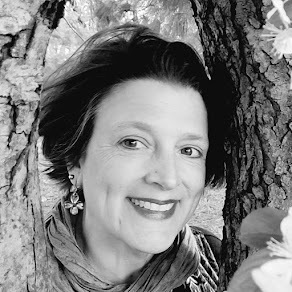 I am very thrilled with this opportunity to share some insights about the poetry writing activities I have been doing with my students at the two elementary schools in Pasco, WA , since continuing my teaching career in the U.S., for more than 13 years now. For this post, I’d like to describe our Annual Poetry Contest, a school-wide activity I run every year (for seven years now). This year, we had 409 poems turned in! Just as the school year begins, in September, I start promoting poetry among the students. They are encouraged to read and write poetry and turn in their poems during the month of November. Then, during the month of December, my colleagues (usually five or six other teachers, among whom at least three have a bilingual background) and I evaluate the poems turned in and choose 12 for the poetry calendar and 33 for the Poetry Book. 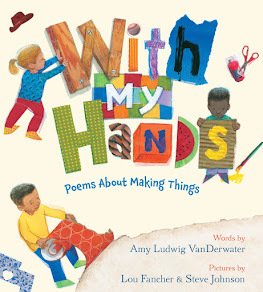 From the beginning of the school year, I bring in wonderful poetry by Janet Wong, Joyce Sidman, Ralph Fletcher, Amy Ludwig VanDerwater, Nikki Grimes, Pat Mora, Francisco Alarcon, Gerry Soto, Langston Hughes, Lee Bennett Hopkins, David Harrison, and others to my students’ attention on a daily basis. I read to them, they read to themselves, they share with their peers, or we do whole-group activities around the poems they bring in or that I choose with a certain goal in mind. With this poetry immersion in the library and great support of several colleagues in my school, poetry became a part of our life here at Robinson Elementary. 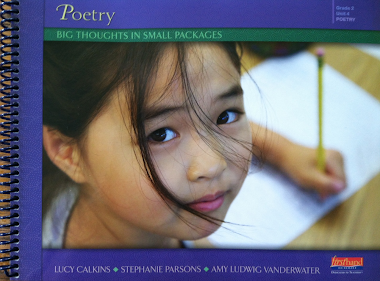 Before November, I teach poetic forms and figurative language to 2nd to 5th grades with lots of modeling and reading of exemplary poetry, especially for younger students. It seems to me that this way, students get the confidence they need to embark on the journey of writing poetry and exploring it eagerly. I also teach revision skills, which are a crucial part of becoming a writer. I use some strategies from Georgia Heard’s THE REVISION TOOLBOX: TEACHING TECHNIQUES THAT WORK. With K-1st grade students, I mostly do whole-class activities with poetry, like chanting nursery rhymes, reading poetry as an opening activity of every class, pointing to rhythm, wonderful words, rhyming words, etc. 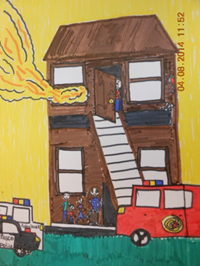 During the month of November, we write a lot of class poems about families, pets, community (school, doctor, teacher, fire fighter), nature, and such. I serve as their scribe. We have a lot of fun, and I turn these poems in for the poetry contest as their class poems. One important aspect is that students are allowed to write in English or Spanish, whichever language they feel more confident in. That option is another support that my students really respond to very positively because our school serves a student population (900 students) that is 90 percent Spanish-speaking and that has 71 percent in the bilingual transitional program. The book publishing takes more time. I order a kit from Studenttreasures.com, a publishing company, and it takes a lot of coordination with classroom teachers to get the illustrations done. 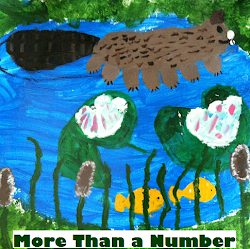 This year, our second poetry book will be published in April, and the students and I are very excited. We will get one free book for the library, and the parents can order their copies at the time I send the kit back for publishing. Once we have our book in hands, we’ll celebrate it with reading poems from it every day as the authors come to the library at their regular library class time. This celebration of our own poets and their work sparks an interest and motivates other students to think “poetry!” evidenced by a regular spike in circulation of poetry books and by many new poems being turned in to me. I usually send these poems to the local newspaper, where they are regularly published. 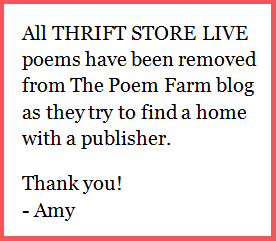 Also, from this year, I included a “Promising Poet Library Writing Award” to give to five students who showed advanced poetry-writing skills and who are interested in poetry reading, writing, performing, and promoting poetry among their peers. I awarded them with certificates, poetry books, and notebooks for writing their poetry. 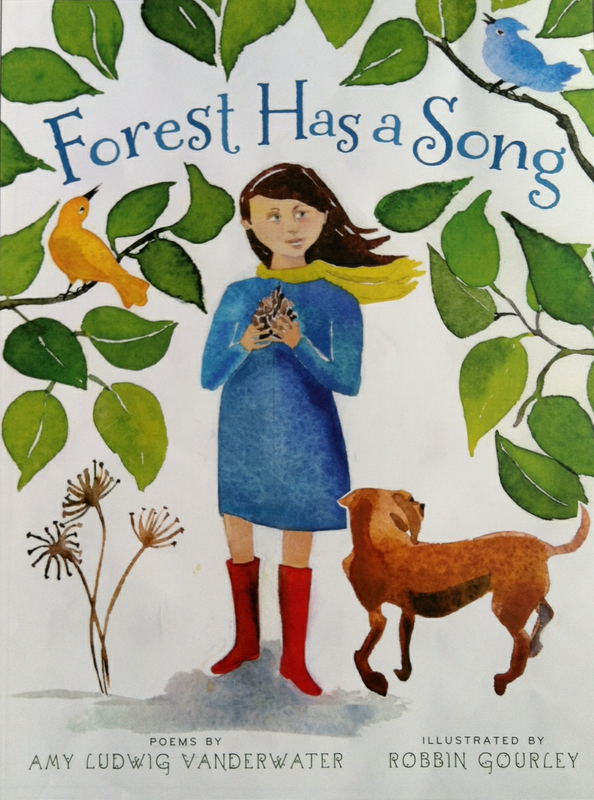 This year, Amy sent two copies of her FOREST HAS A SONG as a donation, and I bought A LEAF CAN BE… by Laura Purdie Salas and WHAT THE HEART KNOWS: CHANTS, CHARMS, AND BLESSINGS and RED SINGS FROM TREETOPS -- A YEAR IN COLORS by Joyce Sydman. "I read it because it's beautiful," says Karen Morrow Durica, and I cannot think of anything more beautifully said about poetry. I just paraphrase it "I LOVE it because it's beautiful." That is my "motto" with my students. I hope to develop that sense of poetry in them. I want them to read and write poetry throughout their lives because poetry is beautiful. I thank Amy for giving me an opportunity to share about this activity, and if any teachers or parents reading this post need more information or would like to know more about any of the activities mentioned here, I would be more than happy to answer any questions. Contact me via e-mail at pravopis2000 at yahoo dot com. The fire began moving so fast. My father ran downstairs. CRASH! Daddy ran back with the fire extinguisher. Had a broken leg and could not move fast. Wailed in there in minutes. THANK YOU FOR SAVING US! While she is in Mexico. That we all are safe. Excited about my poems. I LOVE writing poems, too. Zapatos nuevos me pongo hoy. For me, it is a pleasure to keep this blog as it gives me the opportunity to learn from teachers, students, and librarians like Vida Zuljevic. Thank you! I would also like to thank the wonderful students, teachers, adminitrators, and parents at Klem North Elementary School in Webster, NY, for a delightful school visit yesterday. I am still thinking about your poems and our laughs. 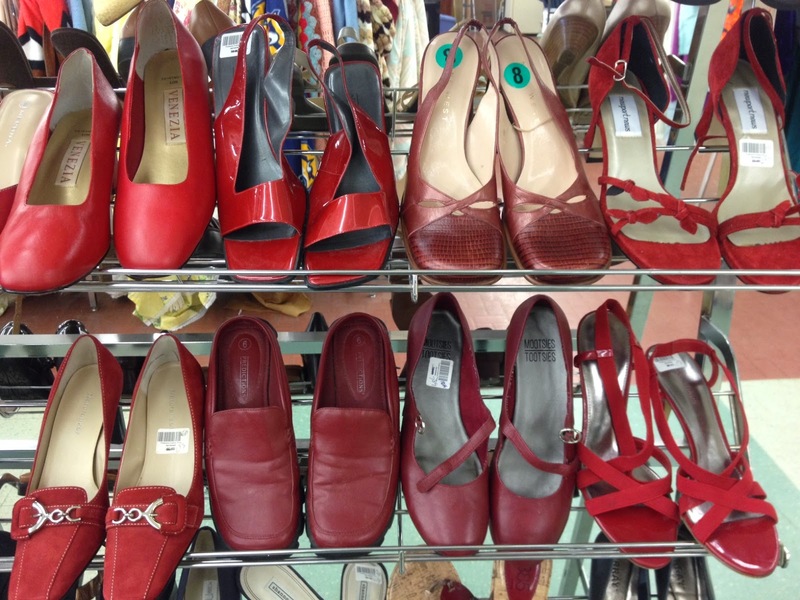 I'm a sucker for a pair of red shoes, Amy. Today, I especially liked Julian's portrait of his brother. Great job! This post was packed with great stuff! I enjoyed reading poetry by students too. If you are going to IRA, please come to our session on Sunday from 11-1 where you'll hear from Vida, Amy, Shirley Duke, Eric Ode, Sylvia Vardell, and myself. Vida is such a champion of poetry, I'm hoping that many teachers will be inspired after hearing her examples! 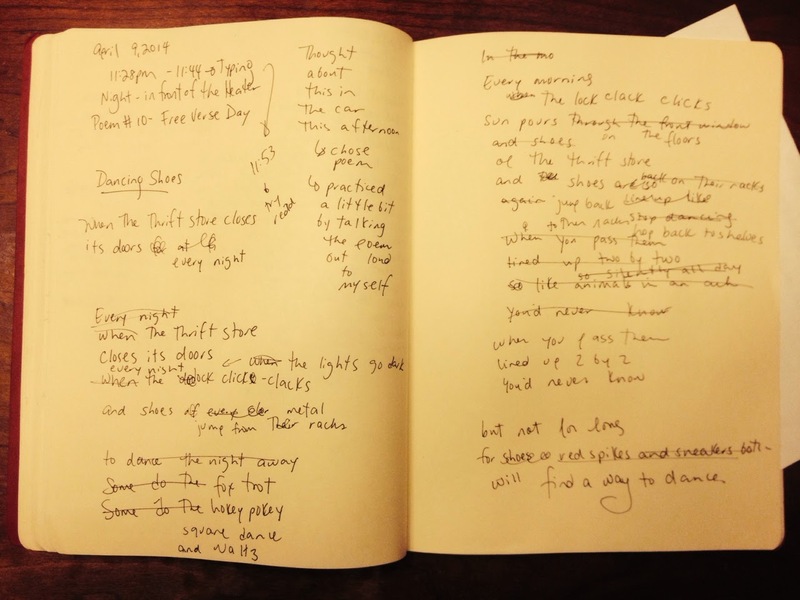 I wrote about dancing on the 5th!